Project manager is one of the most exciting roles you can have in any company. But are you ready to get this job in an interview? 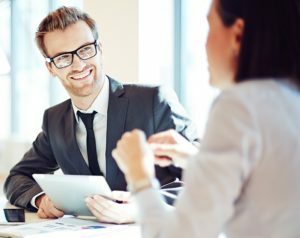 You will deal with a combination of behavioral questions and technical questions, and while you typically won’t compete with many other job seekers (no more than five, sometimes just two or three), you will still have to demonstrate your skills, and readiness for the job of a project manager. While some of the questions will examine your attitude to various things and issues, and your behavior in various work related situations (these questions are called behavioral in the slang of the HR people), other questions will be more practical. Answering the practical questions, you will have to demonstrate your project management skills. Let’s have a look at some questions, the technical at first, and later the behavioral. You will have to answer both of them to succeed in this interview, and to get a job. Question: Your goal is to open a new branch of a company in Paris, and to start the company operations in three months from now. You are responsible for the project and for meeting the deadline. Define the main steps you will take in this project. Answer: As a first step you should evaluate the resources and time. Do not hesitate to ask the interviewers about the budget for the project, since it is an important number to know. Then you should define the main steps you would take in such a project, the project milestones, and how you’d proceed from reaching one milestone to reaching another one (Gantt chart). Elaborate on your answer with a list of potential threats and challenges you may face in this project. Try to present your ideas in a clear and easy to understand way. Show the interviewers that you are aware of all variables (time, people, finances, etc), and that you can consider the project in its complexity. The goal is to show them that you can think independently, and plan your steps from the very first moment of getting the project, to the successful completion of it. Question: Imagine that you were responsible for deployment of a complex ERP solution on client’s side. But you were behind the schedule, because the designers had not completed their work on time. How would you proceed? Answer: You can say that you would allocate more resources to the team of designers, to ensure they would complete their work as quickly as possible, so other people could proceed with their tasks in the project. You can also say that you would consider replacing the head of the design team, or even outsource the designing process, to ensure you’d meet the principal goals of the project. The main thing is to show your flexibility. Some problems do arise in every single project we manage, and unexpected things do happen. Show your interviewers that you are ready to re-evaluate your plans, and take all necessary measures to ensure you will eventually reach the goal of the project. Question: You should recruit two scientists in India. You have never been to the country, and you have no connections in place. You should arrange visa for the scientists and try to make them interested in working in an international team of researchers that is based at one of the universities in the United States. How would you proceed with the project? Answer: You can tell the interviewers that you would engage other people to work with you on the project, people who have knowledge of the Indian market, people who have some connections in the country. 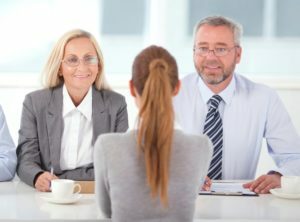 From this point, you can start talking about the recruitment process, which means locating the right candidates, making an initial connection with them, presenting the opportunity, interviewing them, evaluating their skills and personality, and eventually inviting the shortlisted candidates for the final interviews in the States (or any other recruitment process you’d suggest for this particular project). We tried to outline some scenarios, but the exact technical questions you will get depend on the position you try to secure, on the projects you will manage in your new job. It can be deployment of big IT solutions, it can be recruitment projects, or it be anything else–both big and small. Thousands of project managers work on hundreds of different projects all around the world. Nobody can tell the exact technical (practical) questions they will ask you to solve in your job interview. The situation differs with behavioral questions (the questions that examine your attitude to various work-related situations). These questions will be similar in every managerial interview, becasue people deal with similar situations in work, regardless of their exact position (conflict with a colleague, meeting a tight deadline, experiencing setbacks, achieving goals, conflict of personal and professional interest etc). Let’s have a look at few of these questions right now. Question: Describe a last time when you achieved a big goal in your work, or personal life. Answer: Try to consider this question from a perspective of project management. Consider your big goal a final milestone. Tell the interviewers how you proceeded, step by step, turning your dream to reality. Big things are never easy to achieve. You can narrate the problems you faced, and challenges you had to overcome, in the process of reaching your final goal. Show us that you have goals, and that you know how to plan your way to achieving your goals. Your attitude matters more than the particular situation you narrate in your answer. Question: Describe a conflict you had with one of your colleagues. Answer: Project managers do not work alone, and the people you will work with won’t always agree with everything you say. You should try to show your interviewers a few things with your answer. Secondly, that you know how to address the conflicts with your colleagues, and how to get the best out of each conflict (in a constructive way). Last but not least, you should show us (describing the conflict situation you experienced before) that conflicts do not affect you negatively in your job, and that you do your best to ensure they won’t affect your colleagues either, or the relationship you have with them. Needless to say, you should speak about the conflict that you eventually managed to solve. Question: Describe a difficult decision you had to make in your professional career. How did making this decision affect you? Answer: This is a common question in all levels of managerial interviews. The most difficult decisions (in work) are typically related to the people we manage. To dismiss a colleague, or to relocate someone we like, is not an easy thing to do for anyone (unless they have no feelings for other people and do not care for the well-being of the folks they manage–which will hopefully never happen to you). In an ideal case you should talk about the situation when you made a difficult decision, and explain how it eventually helped the company you worked for. Describe a time when you experienced a conflict of your personal and professional interests. How did you eventually solved this situation? Describe your latest project (task). Which problems did you face when trying to achieve the goals you set for this project. Special Tip no. 2: If you struggle with answers to behavioral questions, have a look at our Interview Success Package. You will find multiple brilliant answers to each question. Thank you! 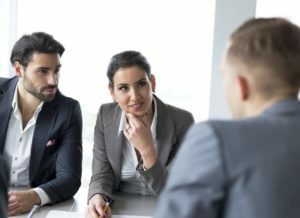 Leadership interview questions – Every good project manager has decent leadership skills. Learn more about the questions the interviewers will use to asses your level of leadership. Work portfolio for an interview – Learn how to prepare a selection of your best works, and how to use it to show the interviewers the value you can bring to their team. A great portfolio will help you to demonstrate your project management skills, and to stand out from the other job applicants.